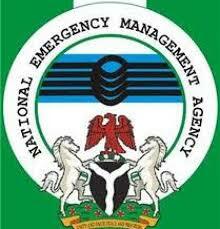 The agency in a statement by its spokesman, Sani Datti said it is therefore, important to clear the air on some of the allegations raised by the Committee because they did not reflect the facts and documents placed before it by NEMA. But Datti said the agency will continue to maintain its open-door policy and assured all relevant stakeholders of their readiness to make further clarifications on the issues raised for the benefit of the Nigerian public and the anti-corruption mantra of the President Muhammadu Buhari led administration. On the Port Clearance and Transportation of Emergency Food Assistance by Chinese Government, the Federal Government received a total of 6,779MT of Rice for IDPs in the North East as donation by the Chinese Government. This amounted to 271 containers, which arrived Apapa Ports between June and October 2017. The processes of securing duty exemption, waivers and other related issues took several months, but the total quantity was subsequently cleared from the Apapa Port, transported and delivered to NEMA warehouses in the North East. It was thereafter distributed to the IDPs in the States of Adamawa, Bauchi, Borno, Gombe, Taraba and Yobe. Documents on the transaction, including distribution to the IDPs were made available to the Committee. The correct total value of the rice is about N2.25 Billion (50 Million Chinese Yuan) and the amount spent on clearing, demurrage and storage was about N450 Million, not the N800 Million as alleged by the Committee. On EFCC Investigation of the suspended staff of NEMA, the suspension of the Six (6) NEMA officers was a decision of Its Governing Council based on the Interim Report of Economic and Financial Crimes Commission, which indicted them for financial misappropriation. The suspension was in line with Public Service Rules and the extant Guidelines on Appointment, Promotion and Discipline. On the approval of N1.6 billion granted by the Federal Government for the Procurement and Delivery of Relief Items to 16 States affected by Flood in 2017, due process was observed in the procurement of the relief items and all items meant for the 16 states were received and acknowledged by respective State Governments. Documents evidencing the acknowledgement of the items were made available to the House Committee. On the Federal Government Emergency Food Intervention in the North East (EFINE), EFINE was a project implemented by a Presidential Committee comprising of relevant Ministries and Agencies of Government in response to the threat of hunger and starvation in the North Ease as reported by the agencies of Government on the ground, which was corroborated by the United Nations in April 2017. All approvals were secured in accordance with due process, while the Committee and the UN World Food Programme worked collaboratively in the sourcing and distribution of the food items. The originating memorandum on the project was submitted by NEMA on 2 June 2017 for Presidential approval. All suppliers in EFINE were selected following due process. Copies of all relevant documents in respect of the project were made available to the House Committee. On the evacuation of Nigerians from Libya, the evacuation of stranded Nigerians from Libya was a multi-agency operation, which was undertaken jointly with all relevant stakeholders: Ministry of Foreign Affairs, Ministry of Interior, Federal Ministry of Health, Nigerian Army, Nigerian Air Force, Nigerian Intelligence Agency, Department of State Security, NAPTIP, National Commission for Refugees, relevant State Governments, etc. Two Thousand, One Hundred and Thirty (2,130) Nigerians were evacuated in the operation.